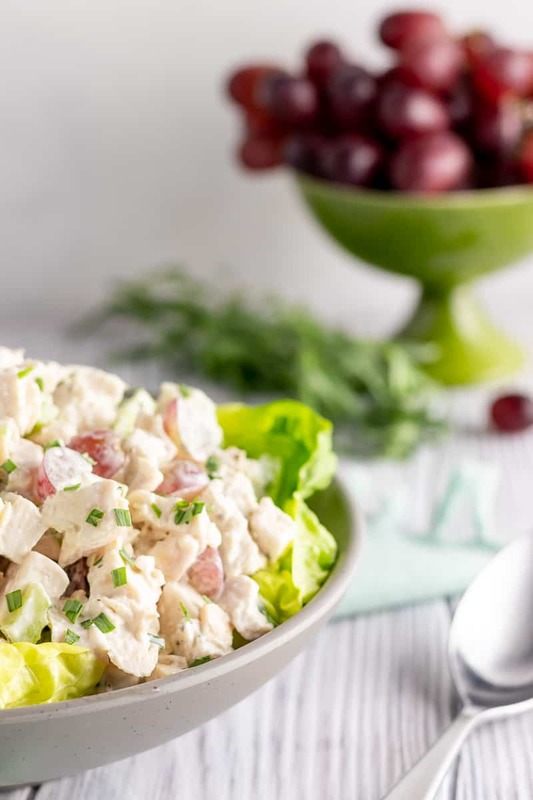 A classic for everything from sandwiches to entertaining, tarragon chicken salad is perfect for the golf course, a lunch box, or a party! I’d like to start off by saying how much I love the word soiree. Expect to see it slightly overused as the holidays approach and I delve into serious entertaining mode, even if it’s just entertaining small groups. 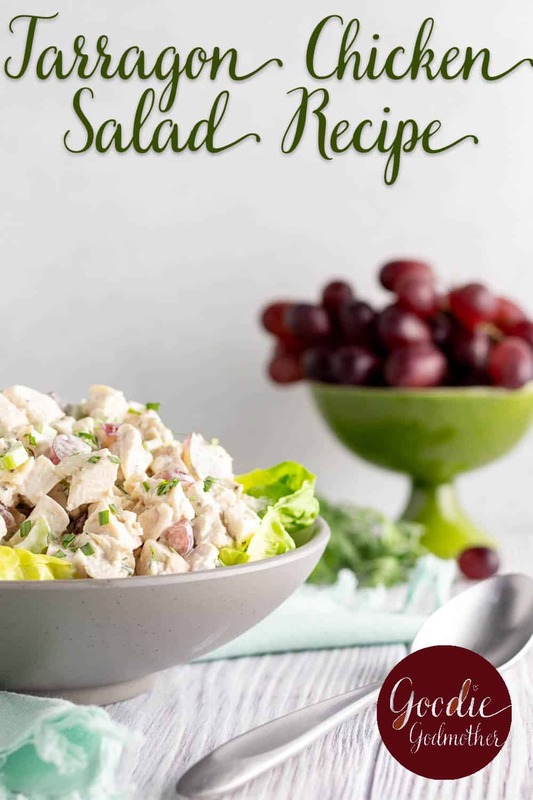 Tip: Chicken salad is great for entertaining when spread on small baguette rounds or put in toasted phyllo cups. But I didn’t originally create this beautiful dish for entertaining, I made it for lunch. We were in DC one weekend taking a family trip to the National Building Museum, and decided we needed lunch. We stopped by the small sandwich shop on the ground floor. I chose a sandwich from the cooler – a tarragon chicken salad croissant. The flavors were just wonderful! Why don’t I cook more often with tarragon? I took a picture of the ingredient list and whipped up my own version. Darlings, this is amazing! 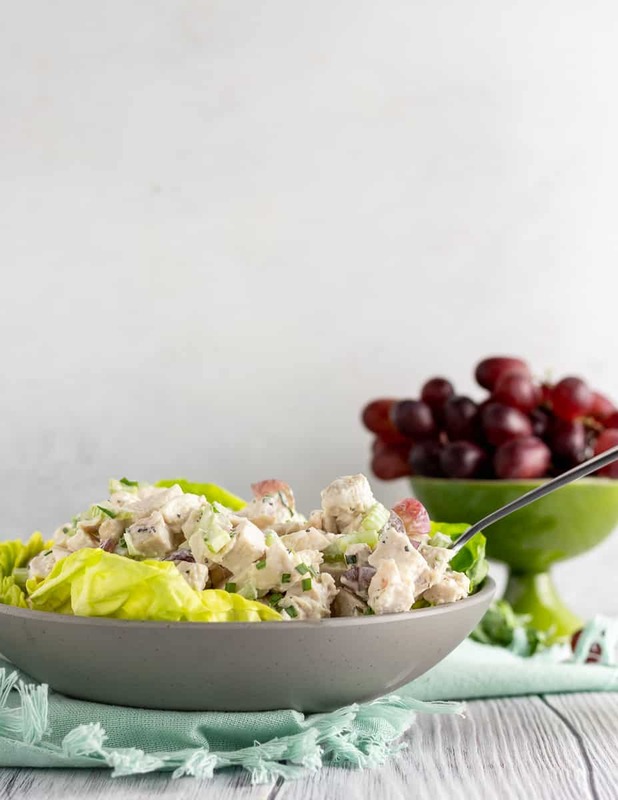 There’s something so satisfying about a creamy chicken salad. 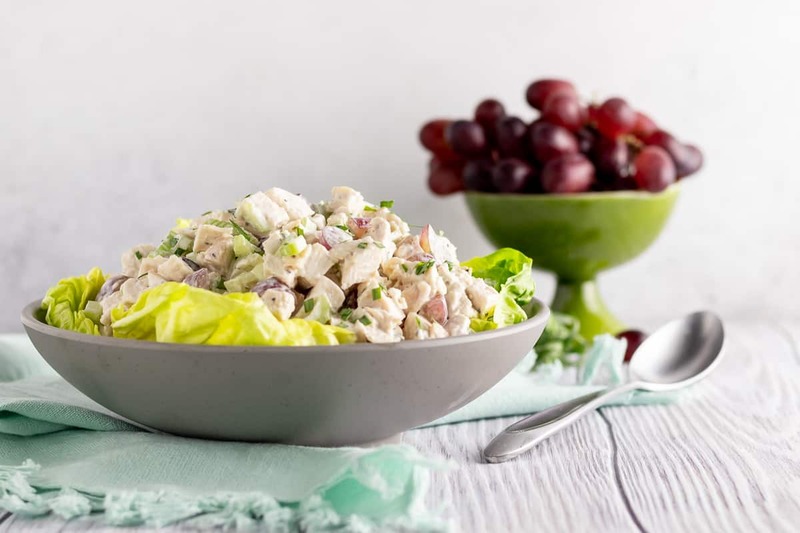 I don’t know if it’s the variety of textures, or the contrast between the different flavors, but there’s definitely a reason chicken salad is such a classic. That, and it’s such an easy recipe to scale. 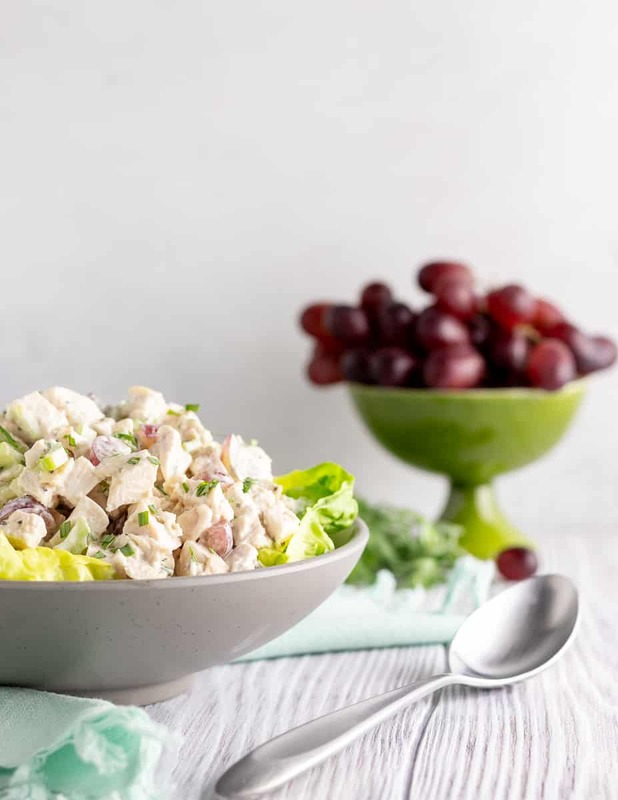 Want to make chicken salad with leftover chicken? Perfect! Want to roast up a chicken or a few chicken breasts for chicken salad? That works too! I am all about “work with what you have” savory recipes. I also love that chicken salad lasts a few days in the refrigerator. 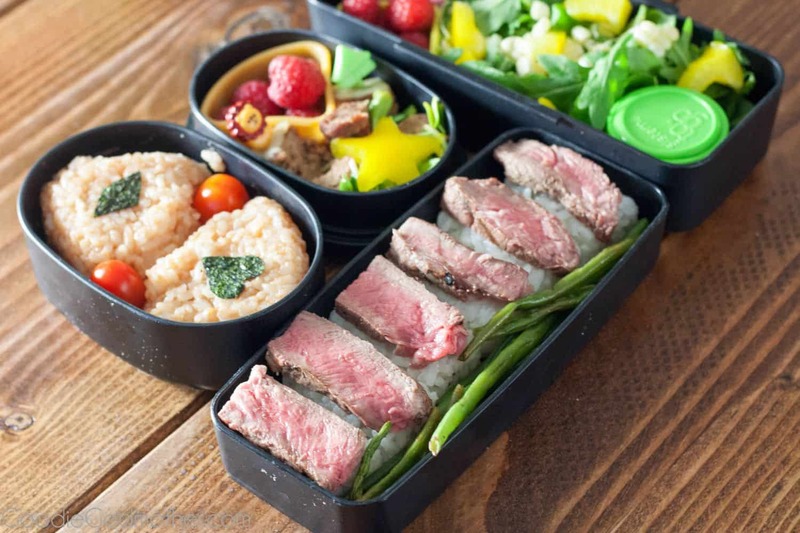 In fact, it’s a great meal prep recipe for lunch! 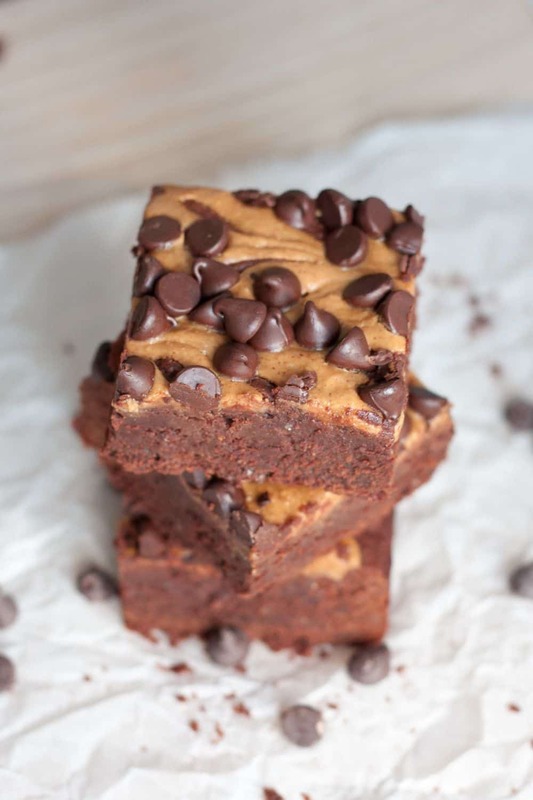 I make a big batch of this and my curry chicken salad, and then the family uses it for easy salads and wraps for the week. The only challenge I sometimes have is in in finding the fresh tarragon. It’s not usually a problem. Just in case your store is out though, I’m including measurements for dry and fresh tarragon so you may use whatever you have available. The only thing I would recommend is to start on the conservative side with your seasoning, then check after the salad has had time to sit an hour or two in the fridge. 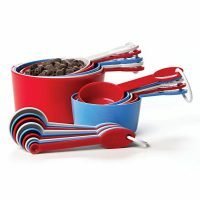 You need to give the flavors a chance to blend to really decide what (and if) you need to customize. 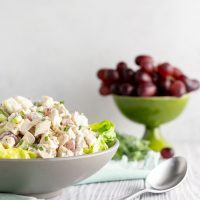 I hope you enjoy this tarragon chicken salad recipe! 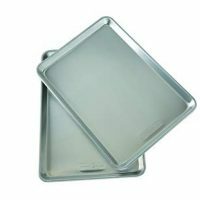 If you need to cook your chicken, preheat your oven to 375 and line a baking sheet with foil. Lightly spray with oil. Place your chicken breasts (about a pound and a half) on the sheet and spritz again with oil. Lightly salt and pepper if desired. Cook for 25-30 minutes until cooked through. Allow to cool, and then chop and proceed with remaining steps. Combine all ingredients in a bowl. Cover and refrigerate at least one hour. Adjust seasoning to taste. 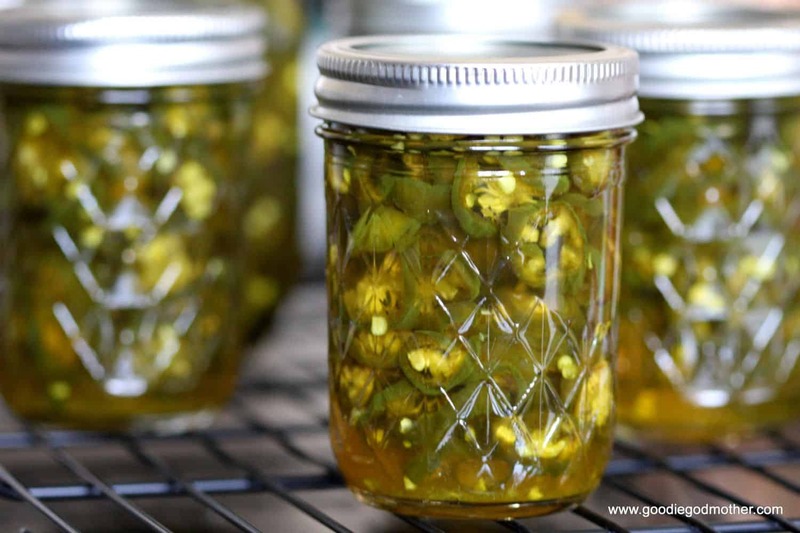 Enjoy as a filling for sandwiches or lettuce wraps, or as a topping for salads or crackers.